Oculus introduces new social features to Samsung Gear VR. Facebook-owned Oculus today introduces new features for Samsung Gear VR. Now you can experience games, videos, and more with friends in VR! Starting tomorrow, people with a Samsung Gear VR, powered by Oculus, can create a profile and then easily search for others on the platform by real name or Oculus username. Today Oculus added new, made-for-VR games to Gear VR that let you team up with friends or compete against people from all over the world. Social Trivia, created by Oculus, is a new game that lets you and up to four friends compete in a battle of knowledge. Look for it in the Concepts section of the Oculus Store. Also, starting tomorrow, you can leave user reviews for all apps on the Oculus Store. We look forward to your feedback. Oculus also added the ability to create rooms with friends in Oculus Social. Now you can watch Twitch or Vimeo streams in a room with people you know. Herobound: Gladiators, the multiplayer adventure game, is now available on the Oculus Store. Band together with up to four people to conquer goblins and demons in arena battlefields. Use integrated voice chat to talk and strategize in real time for co-op action. Oculus also added a new Facebook Videos tab to Oculus Video, and starting next week, you'll be able to connect your Facebook account with Oculus Video to personalize your 360 video feed based on the pages and people you follow. 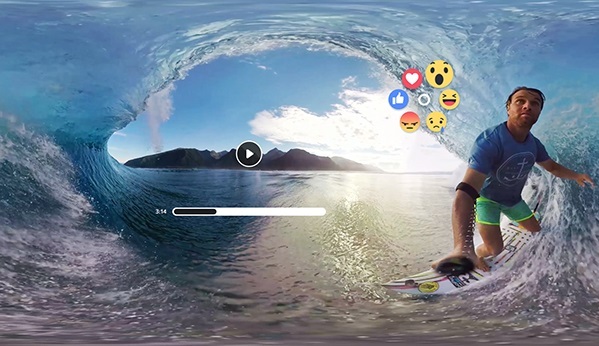 In the coming weeks, you'll be able to like and share your favorite Facebook 360 videos from within VR.